Nose: The nose starts off with vanilla, toffee and delicious ripe yellow fruit - apricots and peaches in particular. Lovely sweet with custard covered with soft icing sugar, burnt caramel and a wee touch of floral notes. With time a pleasant maltiness arrives lingering with a whiff of oak in the back. Palate: The palate's still fresh showing a delicate malty sweetness, complemented by Highland treacle toffee, honey and sticky yellow fruits with apricot jam. This is immediately followed by a soft but intense warmth of oak, white pepper and a touch of nutmeg. Attractive notes of crystallized ginger gloriously linger with roasted almonds towards the finish. Finish: The finish is long, warm and sweet with caramel, and crisp malted barley, Slightly spicy with tender oak, nutmeg and a wee touch of peat. With water: By adding a few drops of water more vanilla and sticky toffee pudding are coming through on the nose with a noticeable floral touch in the back. Tangy on the palate with apricots, peaches and subtle citric fruits, complemented by loads of vanilla and caramel. As water reduces the high alcohol content the warmth is tamed significantly with a wee touch of spiced oak in the back. The finish is long, creamy, soft and sweet with burnt caramel, stemmed ginger, nutmeg and lovely spiced oak. Comments: A slightly understated whisky for one of such maturity. Starting very sweetly, but reluctant to reveal its secrets. Give it time to reveal its full complexity. With time, this becomes well balanced, soft yet savoury. Water adds a creamy character to this old-style Speyside whisky. The famed Benrinnes meatiness, however, is gone. Nose: Fairly sweet on the nose, with lingering yellow fruit, apricots in particular. Fresh with a touch of marc-like flavours, reminds me a little of grappa. With time, delicate vanilla and creamy toffee arrive with a hint of oak in the back. Palate: Deliciously sweet on the palate with lots of apricots and yellow plums, followed by a significant amount of spice, oak and pepper. Very pleasant and warming mouthfeel with a slightly dry end. Finish: The finish is warm and medium-long. Delicate honey sweetness on the tongue with a bit of oak and subtle bitter herbal notes on the tail. Pleasant and delicate. 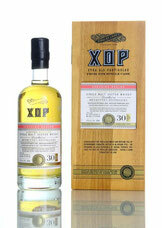 With water: The whisky gets fresher and lighter with more youngish grappa-like flavours on the nose. It stays, however, fairly sweet and fruity on the palate with the huge spiciness being well tamed by the water. The finish is medium-long with sweet honey and a slightly peppery end. Comments: The quarter cask has done a pretty good job here. 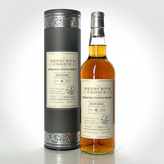 Although being only 6 years old, this Benrinnes already shows a good balance of sweet, fruity and spicy flavours. The lively touch of youthfulness fits quite nicely into the overall picture of this delicate dram.